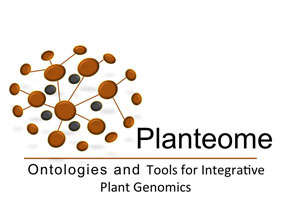 Corvallis, OR, April 24, 2015 (Newswire) - The NSF’s Plant Genome Research Program recently awarded funding to The Planteome Project (http://www.planteome.org) to support the development of ‘Common Reference Ontologies and Applications for Plant Biology’ for a three year period. The human population relies on a relatively small number of plant-based food sources for its basic nutritional needs. Rapid population growth and climate uncertainty is driving a critical requirement to produce higher crop yields and nutrient-rich crops that can tolerate or resist environmental stressors such temperature, drought, and diseases. Traditional breeding methods for plant improvement may be combined with next-generation methods such as high-throughput sequencing, genomics and automated scoring of traits and phenotypes to develop improved varieties. In order to achieve bioinformatics and data-driven crop improvement, plant researchers must be able to quickly gather pieces of the puzzle from a wide range of genomic and genetic studies, build hypotheses and perform the relevant experiments. However, although the existing studies are useful, they may come with some inconsistencies, as the researchers who originally provided the data, and those who are analyzing it often use inconsistent terminology and annotation, making keyword searches less effective. To remedy this problem, the Planteome Project will develop a set of common standards which will include universal reference vocabularies with images where relevant to describe data relating to plant biology and plant stresses and standardized plant gene and phenotype annotation workflows. Additionally, the project team, which includes international collaborators, will develop a centralized web portal and data warehouse to host the shared vocabularies, images, and related annotation information. As a result of this project, researchers in all areas of plant science will be able to find common reference points for comparative analysis of genomics and genetics data. The Planteome Project team is lead by Dr. Pankaj Jaiswal, an Associate Professor in Botany and Plant Pathology Department at Oregon State University, and includes co-investigators Dr. Dennis Stevenson from New York Botanical Garden, Dr. Chris Mungall from Lawrence Berkeley National Laboratory, Dr. Sinisa Todorovic and Dr. Eugene Zhang, both from the School of Electrical Engineering and Computer Science at Oregon State University, and Elizabeth Arnaud from Bioversity International, France (a CGIAR Institute), as well as Dr. Georgios Gkoutos and Dr. John Doonan from Aberystwyth University, UK. Dr. Barry Smith from the National Center for Ontological Research and University of Buffalo, NY, and founding member of the OBO Foundry initiative has a consultative role on the project. The goals of the Planteome Project are to provide researchers and agricultural breeding programs a common semantic framework and a focused set of comparative analysis tools to leverage the scientific value of the ever-expanding array of sequenced plant genomes and phenotype data. As part of the project’s outreach effort the project team will reach out to K-12 and undergraduate students and the plant research community. The project will conduct annual hands-on STEM summer camps to teach high school students about plant genomics and computational biology and will organize exhibits at the New York Botanical Garden, as well as hosting workshops and webinars, and producing publications for plant scientists. The Planteome Project database and data resources are freely accessible online under the Creative Commons License, and are available from the project website http://www.planteome.org.